The annual Fairy House Garden exhibit will be available for viewing from May 1-June 30 at Gabis Arboretum. Along Heron Trail, the exhibit features over a dozen houses created from natural and recycled materials, each unique in personality with the natural landscape. Enjoy the quarter mile stroll through the forest and discover the enchanting features of each fairy home. Guests of all ages will be delighted with the miniscule details the fairies leave behind. 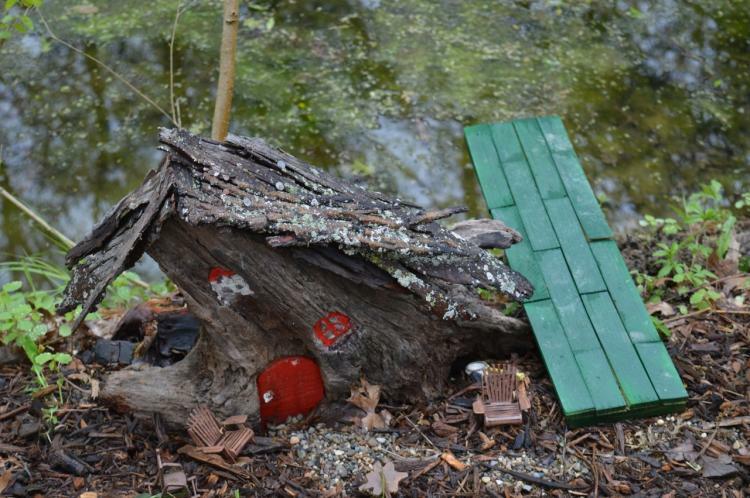 In addition to seeing the fairy house gardens, visitors can create their own on May 19 and June 9. Gabis Arboretum is offering “Fairy Gardening” classes in which participants will learn how to plan and care for a fairy garden and will make their own gardens to take home. Arboretum guests are invited to view the fairy garden train display in the Depot area. For more information, click for details. Gabis Arboretum at Purdue Northwest is a 330-acre, dog-friendly oak preserve of formal gardens, woodlands, wetlands and prairies with more than 6 miles of hiking trails. Gabis Arboretum is open year round and offers a wide variety of events and classes for all ages. Proceeds received by the nonprofit organization power its conservation, restoration and education initiatives.